Get your tickets for another unique and special Royal Windsor Tour, our latest launch - A Walk in Eton. Ninety minutes of fascinating history of Eton, it's college and its architecture. King Henry 6th and famous OE's. Visitors to Windsor can now take the Military History Walk, a unique opportunity to be accompanied and led by an Ex-Coldstream Guardsman who served nine years as a Royal Guard in Buckingham Palace and Windsor Castle. Celebrating the life and history of Queen Victoria on the 200th anniversary of her birth. Discover what life was like in the Victorian age. Around ninety minute walk on the victorians. We can host and lead your group on one of our walks at a time and date requested. We are excited about potential new opportunities as guides. So be sure to watch out for some exciting new walks this year. Book an Exclusive Tour of Windsor. Get the exclusive tour that is both premium and personal. We have five tours to choose from - three 90 minute walks and a 3.5 hours tours are available. Visitors are flocking in to Windsor and another surprise as we have another Royal Wedding with Lady Gabriella Windsor who will marry Thomas Kingston on the 18th May 2019. We have some great crowds and looks like Windsor will be extremely busy with visitors from all around the world. Good temperatures yesterday 16 degrees. Just like a spring day. Not bad for February Beautiful. Throughout the year Windsor Castle will be closed on certain dates. This is down to maintenance, royal ceremonies, events and private functions. If your missing out on your history why not take one of our walks? Here are some upcoming dates when Windsor castle will be closed. There are some new dates also. Check your program. Friday 22nd March Windsor Castle closed. Thursday 18th April Windsor Castle closed. Friday 19th April Windsor Castle closed. Sunday 21st April Windsor Castle will not open until 1pm. Friday 3rd May Windsor Castle closed. Saturday 18th May Windsor Castle closed. Monday 17th June Windsor Castle closed. 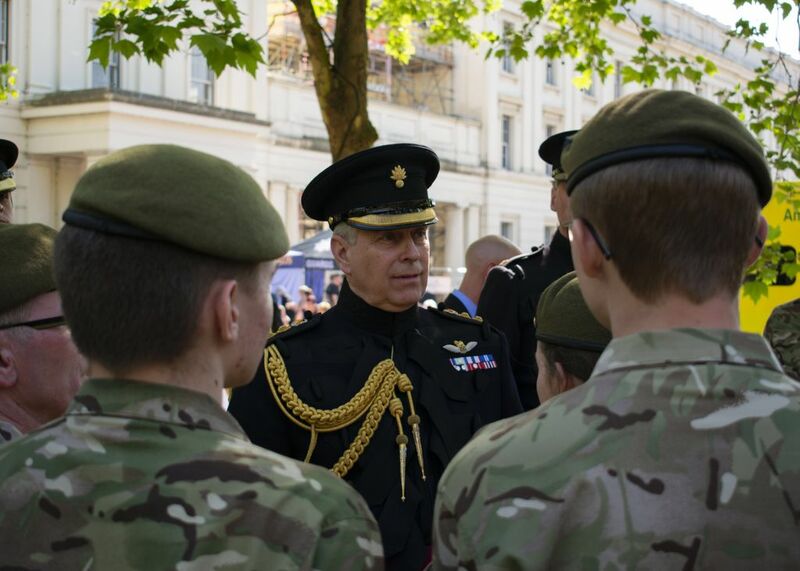 Happy Birthday HRH The Duke of York The Colonel of the Grenadier Guards. Check out a recent review for A Walk in Eton. Royal Windsor Tours will be hosting this special walk from the 24th – 31st May 2019. A celebration of the life of Queen Victoria – Queen of the United Kingdom of Great Britain and Ireland and Empress of India. Out Now! tickets for 2019. We have three big walks to choose from A Walk in Eton, The Military History Walk and Victoria 200. All available here. The engagement of Lady Gabriella Windsor (the daughter of Prince and Princess Michael of Kent) to Thomas Kingston (a financial analyst) has been announced. This will be the third royal wedding in Windsor in a year. It is thought they will marry on May the 18th and it is unlikely that there will be a carriage procession. But there is a similarity with the reception being held in Frogmore House. Presumably Windsor Castle will be closed for that day to the public. Either way it will be a great day for Windsor. Windsor Castle will be closed that day and there may be some slight changes to our walk but it should be a good day. Educational. Entertaining. Enlightening. A wonderful tour with Paddy! A great tour from Paddy - interesting and informative. Would highly recommend. Many thanks! Play the Royal Windsor Tours Theme Tune written and arranged by Tim Constable.